As a small business owner or owner of a startup you have a lot of things on your mind when your business is just taking off. There will always be a few things you would be be aware of, a few things you that you master in, and a few elements that you might not know anything about. 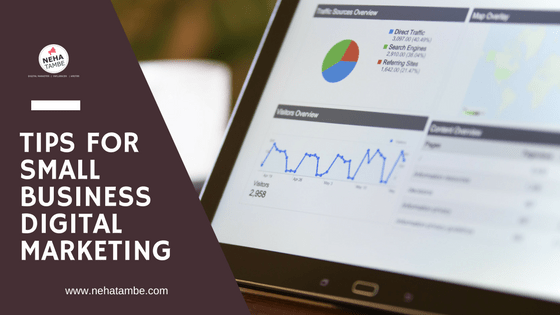 Instead of just flying blind when it comes to websites, blogging and social media, I am giving you a few tips and suggestions that you should check, before you finalize any work in this area. Most businesses when starting off are aware that they need a well designed website however they might not know what constitutes a well designed website. Most websites are built based on themes that are already available. Popular sites with good amount of themes are WordPress, Magento, Wix etc. Connect with your developer and understand which website developing platform is he using.There will be thousands of themes available. Make a list of things that you definitely need on your website, then connect with your web developer. This will help him sort out and find the best themes that are perfect for your website and your requirement. In case you are planning to make any additions in future in terms of scaling up the business or product categories or maybe adding an e-commerce website or online courses etc. in future you need to explain all that to your developer so that he can build your site that is extendable in future and you don’t need to invest in building websites every six months. There are numerous sites that are offering hosting in India. While choosing hosting, identify the server location and go for hosting sites that have servers close to India. This will attribute to your website load time. Most of the hosting sites also offer domain names so ensure that your domain name is ready. It is a good idea to identify 3 or 4 variations of your domain name. This will help the developer, if a particular web domain name is not available, he can immediately check for the other variants. Give clarity about the kind of storage in terms of images, videos, download able digital assets that you are expecting your website to have. Based on these requirements the developer can choose a plan that will be helpful for you. During website creation, other things like email marketing and website compatibility with social media is probably ignored by the business. It is important that you keep these things in mind and either have provisions for it while building the website or if you use a wordpress based platform then ensure that you have relevant plugins. Popular plugins are usually available and compatible with most themes however if you have a list of requirements ready it is easier for your developer to identify if that particular theme is compatible with most of the plugins and then he can start the work. Static websites are not as effective as a responsive and blog connected website is. Having a blog section for your website is a good idea to get ranked higher and quicker in search engines. You might not have the time to create blogs for your website. There are too many things happening and your focus is necessary on those topics that keep your businesses running. Outsourcing your blogging or social media management efforts will be beneficial in the long run, as outsourcing will mean a steady and consistent stream of work being delivered that can be uploaded on your blog regularly. When hiring content writers make sure that you see a few past samples. You could even give them a topic and ask them to write a paid post on the same to understand their grasp on the topic and the style of writing. Every blog post needs image. Ensure that you create attention grabbing headlines and images. Tools like canva offer great tools to help non designers create effective images quickly. Focus on your site SEO by using plugins like yoast SEO. Use Buzz Sumo and social media to identify popular topics in your field. Do keyword analytics to understand popular keywords associated with your brand. Update your old articles as and when new information comes. This will help in SEO. If you are an e-commerce site or a business, then running giveaways on your website or social media networks will help you gain visibility. The network of loyal customers, also work as brand advocates on social media. Take survey to understand your customer profile and check if they are interested in talking about your brand or reviewing your brand. Incentivize them for doing this. It could be a voucher, cashback even free products. You could even use such advocates to test and try your new product and talk about it online. Not every social media will be as effective as the other. Understand what works for you and focus your energy there. If you are a small business or a single person managing various heads, focus on one network at a time. Groups can make a huge difference in terms of visibility. Be part of relevant groups on social media of your choice. Email lists is something that you should focus on. Getting emails emails and mobile numbers of prospective clients will help you create drip marketing and re-targeting plans effectively. Focus on local – As a small business your biggest strength is that you can focus and be present in micro areas that big brands might overlook. For example while the big brands focus on bigger festivals like Diwali for promotions, you could focus on regional holidays for your deals. Local audience will also be more engaged in your activities and will offer prompt feedback. Ask for reviews. In the current digital world it is important that your website has reviews. With every completion of sale ask your audience to rate your website or probably give you a two line review. This will help in building your brand awareness and database. Handle negative comments effectively. Do not just delete every negative comment that you come across. Ask what went wrong, offer solutions, or maybe even small tokens like a discount coupon, free product. Handle it effectively so that your branding is solid and you are known as a customer centric brand. Go beyond monthly sales from digital effort. Quantify your websites reach as reach is equivalent to visibility. Focus on engagement. Understand where your customer is coming from and if it is not converting in sale, where are you missing it. Identify the sentiments around comments that you received on social media. Use analytics to re-target audience and create focused marketing plans. Don’t see google analytics in isolation, but in combination of social media and blog analytics. Small businesses need a social media presence to survive. Your tips are an excellent guideline on how social media can impact profit. A good way on promoting and marketing your website would be Online Marketing and Website promotion. Reaching your customers online is a wise idea. People are becoming more and more reliant to the web, so businesses need to take advantage of that. Anyways, great points you have there. Thanks for sharing these info. Cheers! Indeed great tips, I agree that it is all about the sum effect of all these pointers. these are the things that can reach you on the next level. thanks for sharing so many useful tips in the post. would certainly advocate some on my blog. I am surely going to try some of these tips specially the social media and SEO suggestions you made in this article. Thank you for this wonderful post it has surely motivated me to blog more. We, the bloggers like Linky parties! Nice initiative. Also here you have shared good tips about digital marketing. Startups can get benefit from here. Many people dont even know about Digital MArketing so it will help them also to understand the basics of seo, sem etc. Thanks for sharing all the imp tips. This post is a must read for small business or some startups. This is an informative post for small business starters like me. I also paid more for domain purchase for the first time. Getting your customers online is a clever idea. People are becoming more and more needy to the web, so businesses want to take advantage of that. Digital marketing is basically an additional type of advertising your company’s products. All the tips discussed in this post are valuable. Social media is a need of present era and very much helpful to promote small businesses. Thank you for sharing your knowledge and research.